Punxsutawney Phil evealing spring is coming early. 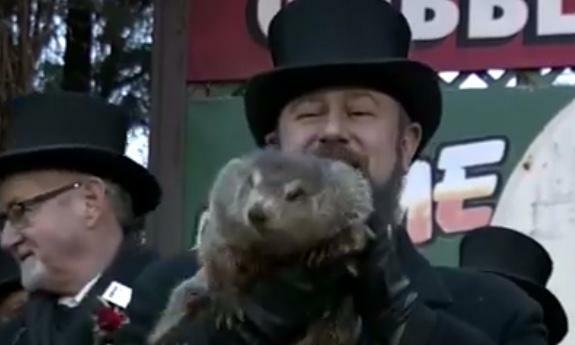 PUNXSUTAWNEY, Pa. (AP) — Members of Punxsutawney (puhnk-suh-TAW’-nee) Phil’s inner circle revealed spring is coming early. Handlers for Pennsylvania’s most famous prognosticating groundhog say he didn’t see his shadow when the sun rose Saturday.